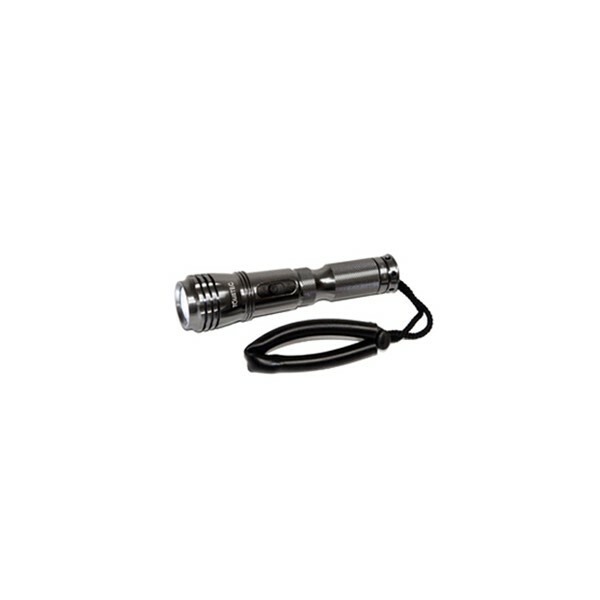 IFL 660-R Torch features a concentrated 7 degree beam for maximum carrying distance. The ergonomic design is constructed from anodised aluminium for rugged durability. Waterproof to 328 feet, this is a light you can take anywhere. Powered by a single 18650 Li-ion battery which is included. The magnetic slide switch provides easy on/off operation and the wrist lanyard assures safe attachment. Please note that CR123 batteries are NOT compatible with this torch. Only rechargeable 18650 Li-Ion Batteries can be used with this model. IMPORTANT NOTES: Use only approved Intova or major brand batteries. Use of inexpensive aftermarket batteries can damage light circuitry, void warranty and cause dangerous emissions. All warranty returns MUST include batteries used. Use of improper or unapproved batteries will void warranty. Visit us on Facebook! Visit us on Twitter! Visit us on Youtube! We ship with Fastway Couriers!